We’re delighted that 1196 Tollcross Road was awarded a commendation at the Scottish Design Awards last night in the Health category. 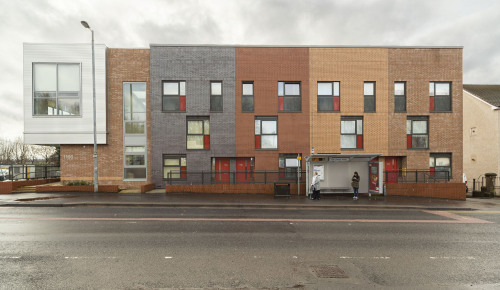 The project, which occupies a sloping site in the East end of Glasgow, provides mainstream accommodation and a secure care home for sufferers of Alcohol Related Brain Disease. 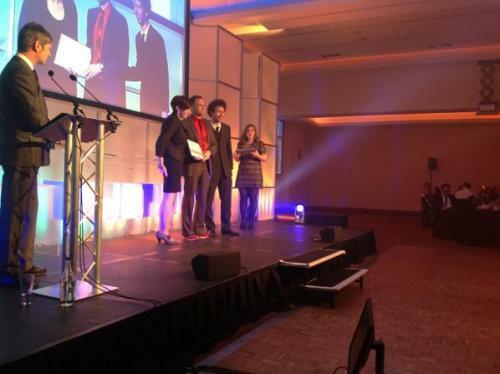 Project Architects Ewan Imrie and Fiona Welch picked up the award at the ceremony last night.